BOUQUERELM, DUFORESTELT, BAILLISD, et al.Heat transfer modeling in vacuum insulation panels containing nanoporous silicas-a review [J]. Energy and Buildings, 2012, 54: 320-336. 胡子君,李俊宁,孙陈诚,等. 纳米超级隔热材料及其最新研究进展[J]. 中国材料进展, 2012, 31(8): 25-31. HÜSINGN,SCHUBERTU. Aerogels-airy materials: chemistry, structure, and properties [J]. AngewandteChemie International Edition, 1998, 37(1/2): 22-45. LEE D, STEVENSP C, ZENGS Q, et al. Thermal characterization of carbon-opacified silica aerogels [J]. Journal of Non-Crystalline Solids, 1995, 186: 285-290. ZENGS Q, HUNTA, GREIFR. Geometric structure and thermal conductivity of porous medium silica aerogel [J]. Journal of Heat Transfer, 1995, 117: 1055-1058. LUX, WANDP, BÜTTNERD, et al. Thermal transport in opcified monolithic silica aerogels [J]. High Temperatures-High Pressures,1991, 23: 431-436. FRICKEJ, LUX, WANDP, et al. Optimization of monolithic silica aerogel insulants [J]. International Journal of Heat and Mass Transfer, 1992, 35 (9): 2305-2309. BARDYE R, MOLLENDORFJ C, PENDERGASTD R. Thermal conductivity and compressive strain of aerogel insulation blankets under applied hydrostatic pressure [J]. Journal of Heat Transfer, 2007, 129(2): 232-235. NOVAKK S, PHILLIPSC J, BURIRG C, et al. Development of a thermal control architecture for the Mars Exploration Rovers [C] // EI-GENK M S. Space Technology Applications International Forum. New York: America Institute of Physics, 2003: 194-205. BHEEKHUNN, TALIBA R A, HASSANM R. Aerogels in aerospace: an overview [J]. Advances in Materials Science and Engineering. 2013: 1-18. CHENK, NEUGEBAUERA, GOUTIERRET, et al. Mechanical and thermal performance of aerogel-filled sandwich panels for building insulation [J]. Energy and Buildings, 2014, 76: 336-346. REIMM, KÖRNERW, MANARAJ, et al. Silica aerogel granulate material for thermal insulation and daylighting [J]. Solar and Energy. 2005, 79 (2): 131-139. 何雅玲,谢涛. 气凝胶纳米多孔材料传热计算模型研究进展[J]. 科学通报, 2015, 60(2): 137-163. 朱传勇,李增耀. 气凝胶中气相贡献热导率的数值求解[J]. 工程热物理学报, 2017, 38(8): 1753-1757. 赵越,唐桂华,陶文铨. 碳黑掺杂SiO2气凝胶热辐射特性的蒙特卡罗计算[J]. 工程热物理学报, 2015, 36(3): 591-595. BIC, TANGG H. Effective thermal conductivity of the solid backbone of aerogel [J]. International Journal of Heat and Mass Transfer, 2013, 64: 452-456. ZHAOY, TANGG H. Numerical study of radiative properties of nanoporous silica aerogel [J]. International Journal of Thermal Sciences. 2015, 89: 110-120. YUH T, LIUD, DUANY Y, et al. Theoretical model of radiative transfer in opacified aerogel based on realistic microstructures [J]. International Journal of Heat and Mass Transfer, 2014, 70: 478-485. ZHAOJ J, DUANY Y, WANGX D, et al. Radiative properties and heat transfer characteristics of fiber-loaded silica aerogel composites for thermal insulation [J]. International Journal of Heat and Mass Transfer, 2012, 55(19-20): 5196-5204. LIZ Y, ZHUC Y, ZHAOX P. A theoretical and numerical study on the gas-contributed thermal conductivity in aerogel [J]. International Journal of Heat and Mass Transfer, 2017, 108: 1982-1990. XIET, HEY L. Heat transfer characteristics of silica aerogel composite materials:structure reconstruction and numerical modeling [J]. International Journal of Heat and Mass Transfer, 2016, 95: 621-635. YUH, LIUD, DUANY Y, et al. Applicability of the effective medium theory for optimizing thermal radiative properties of systems containing wavelength-sized particles [J]. International Journal of Heat and Mass Transfer, 2015, 87: 303-311. COQUILT, FANGJ, PILONL. Molecular dynamics study of the thermal conductivity of amorphous nanoporous silica [J]. International Journal of Heat and Mass Transfer, 2011, 54(21-22): 4540-4548. HRUBESHL W, PEKALAR W. Thermal properties of organic and inorganic aerogels [J]. Jornal of Materials Research, 1994, 9(3): 731-738. ZHANGG, DASSA, RAWASHDEHA M, et al. Isocyanate-crosslinked silica aerogel monoliths: preparation and characterization [J]. Journal of Non-Crystalline Solids, 2004, 350: 152-164. KAGANERM G. Thermal insulation in cryogenic engineering [M]. Jerusalem: IPST Press, 1969: 1-200. FRICKEJ, TILLOTSONT. Aerogels production, characterization, and applications [J]. Thin Solid Films, 1997, 297(1-2): 212-223. ZENGS Q, HUNTA, GREIFR.Theoretical modeling of carbon content to minimize heat transfer in silica aerogel [J]. Journal of Non-Crystalline Solids, 1995, 186: 271-277. 杨海龙,王钦,王晓婷,等. 压汞和气体吸附在纳米超级隔热材料孔隙结构表征中的应用研究[J]. 复合材料学报, 2013, 30(S1): 273-278. VOLLETD R, NUNESL M, DONATTID A, et al. Structure characters of silica sonogels with different proportions of TEOS and TMOS [J]. Journal of Non-Crystalline Solids, 2008, 354(14): 1467-1474. REICHENAUERG, HEINEMANNU, EBERTH. Relationship between pore size and the gas pressure dependence of the gaseous thermal conductivity [J]. Colloids and Surfaces A: Physicochemical and Engineering Aspects, 2007, 300(1-2): 204-210. 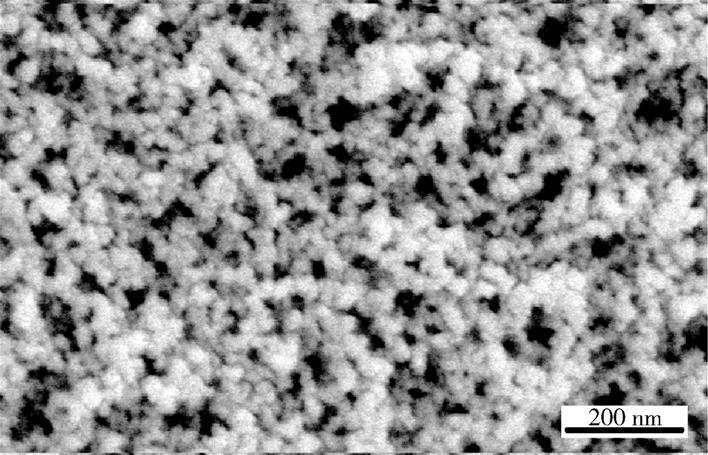 To understand the variation of their thermal conductivity, nano-porous thermal insulating materials loaded with carbon black and silica fiber were synthesized from tetraethylorthosilicate (TEOS) via a sol-gel process followed by supercritical drying, and they were characterized by thermal conductivity tester, nitrogen adsorption-desorption, SEM, laser particle size analyzer. 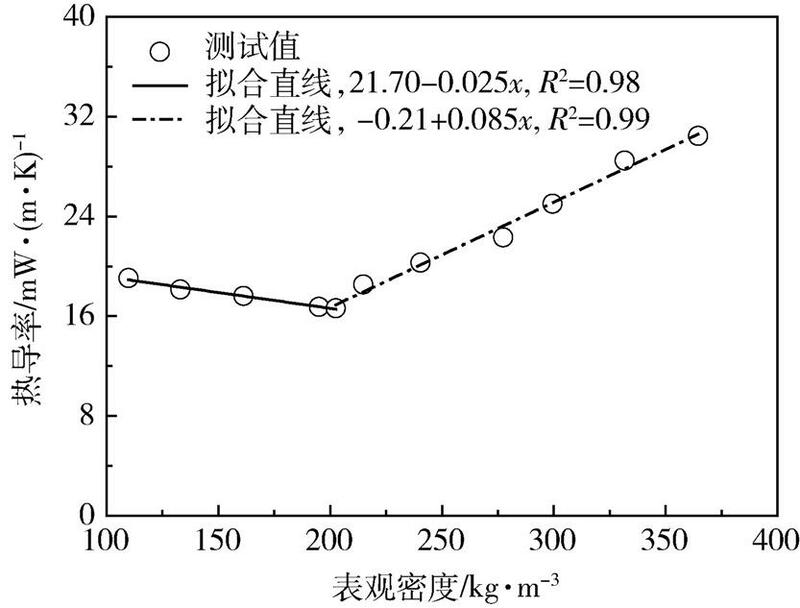 Test results indicate that the thermal conductivity of the materials without carbon black at atmospheric pressure declines linearly and then rises linearly with increasing apparent density, and the lowest value appears at apparent density of 203 kg/m3. The variation rate of thermal conductivity in the rising region is higher than that in the declining region. With the increase of doped carbon black, the thermal conductivity of the resulting materials with the same porosity at atmospheric pressure decreases first and then increases slightly, their thermal conductivity under ultimate vacuum drops, and their gaseous thermal conductivity at atmospheric pressure grows. In semilogarithmic coordinate, the gaseous thermal conductivity reduction of the resulting material as a function of gas pressure can be divided into 3 stages according to decreasing rate, it decreases rapidly by 6 mW/(m·K) from 101.325 to 30 kPa and then decreases slowly by 2 mW/(m·K) from 30 to 0.1 kPa, while the reduction between 0.1 and 0.01 kPa can be neglected. The lowest thermal conductivity of these materials at atmospheric pressure is only 16.62 mW/(m·K) and it can be further reduced to 14.50 mW/(m·K) via doping 5 wt% carbon black into these materials. BOUQUEREL M, DUFORESTEL T, BAILLIS D, et al.Heat transfer modeling in vacuum insulation panels containing nanoporous silicas-a review [J]. Energy and Buildings, 2012, 54: 320-336. HÜSING N,SCHUBERT U. Aerogels-airy materials: chemistry, structure, and properties [J]. AngewandteChemie International Edition, 1998, 37(1/2): 22-45. LEE D, STEVENS P C, ZENG S Q, et al. Thermal characterization of carbon-opacified silica aerogels [J]. Journal of Non-Crystalline Solids, 1995, 186: 285-290. ZENG S Q, HUNT A, GREIF R. Geometric structure and thermal conductivity of porous medium silica aerogel [J]. Journal of Heat Transfer, 1995, 117: 1055-1058. LU X, WAND P, BÜTTNER D, et al. Thermal transport in opcified monolithic silica aerogels [J]. High Temperatures-High Pressures,1991, 23: 431-436. FRICKE J, LU X, WAND P, et al. Optimization of monolithic silica aerogel insulants [J]. International Journal of Heat and Mass Transfer, 1992, 35 (9): 2305-2309. BARDY E R, MOLLENDORF J C, PENDERGAST D R. Thermal conductivity and compressive strain of aerogel insulation blankets under applied hydrostatic pressure [J]. Journal of Heat Transfer, 2007, 129(2): 232-235. NOVAK K S, PHILLIPS C J, BURIR G C, et al. Development of a thermal control architecture for the Mars Exploration Rovers [C] // EI-GENK M S. Space Technology Applications International Forum. New York: America Institute of Physics, 2003: 194-205. BHEEKHUN N, TALIB A R A, HASSAN M R. Aerogels in aerospace: an overview [J]. Advances in Materials Science and Engineering. 2013: 1-18. CHEN K, NEUGEBAUER A, GOUTIERRE T, et al. Mechanical and thermal performance of aerogel-filled sandwich panels for building insulation [J]. Energy and Buildings, 2014, 76: 336-346. REIM M, KÖRNER W, MANARA J, et al. Silica aerogel granulate material for thermal insulation and daylighting [J]. Solar and Energy. 2005, 79 (2): 131-139. BI C, TANG G H. Effective thermal conductivity of the solid backbone of aerogel [J]. International Journal of Heat and Mass Transfer, 2013, 64: 452-456. ZHAO Y, TANG G H. Numerical study of radiative properties of nanoporous silica aerogel [J]. International Journal of Thermal Sciences. 2015, 89: 110-120. YU H T, LIU D, DUAN Y Y, et al. Theoretical model of radiative transfer in opacified aerogel based on realistic microstructures [J]. International Journal of Heat and Mass Transfer, 2014, 70: 478-485. ZHAO J J, DUAN Y Y, WANG X D, et al. Radiative properties and heat transfer characteristics of fiber-loaded silica aerogel composites for thermal insulation [J]. International Journal of Heat and Mass Transfer, 2012, 55(19-20): 5196-5204. 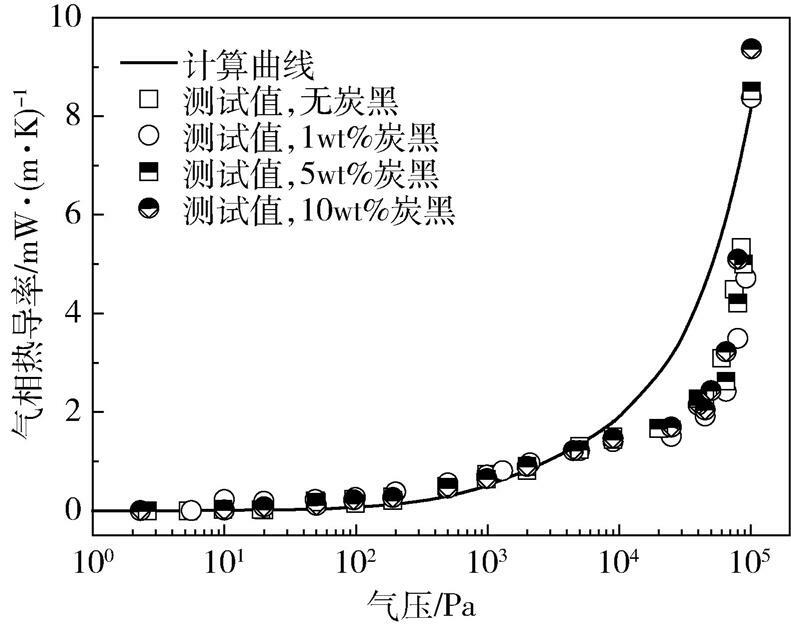 LI Z Y, ZHU C Y, ZHAO X P. A theoretical and numerical study on the gas-contributed thermal conductivity in aerogel [J]. International Journal of Heat and Mass Transfer, 2017, 108: 1982-1990. XIE T, HE Y L. Heat transfer characteristics of silica aerogel composite materials:structure reconstruction and numerical modeling [J]. International Journal of Heat and Mass Transfer, 2016, 95: 621-635. YU H, LIU D, DUAN Y Y, et al. Applicability of the effective medium theory for optimizing thermal radiative properties of systems containing wavelength-sized particles [J]. International Journal of Heat and Mass Transfer, 2015, 87: 303-311. COQUIL T, FANG J, PILON L. Molecular dynamics study of the thermal conductivity of amorphous nanoporous silica [J]. International Journal of Heat and Mass Transfer, 2011, 54(21-22): 4540-4548. HRUBESH L W, PEKALA R W. Thermal properties of organic and inorganic aerogels [J]. Jornal of Materials Research, 1994, 9(3): 731-738. ZHANG G, DASS A, RAWASHDEH A M, et al. Isocyanate-crosslinked silica aerogel monoliths: preparation and characterization [J]. Journal of Non-Crystalline Solids, 2004, 350: 152-164. KAGANER M G. Thermal insulation in cryogenic engineering [M]. Jerusalem: IPST Press, 1969: 1-200. FRICKE J, TILLOTSON T. Aerogels production, characterization, and applications [J]. 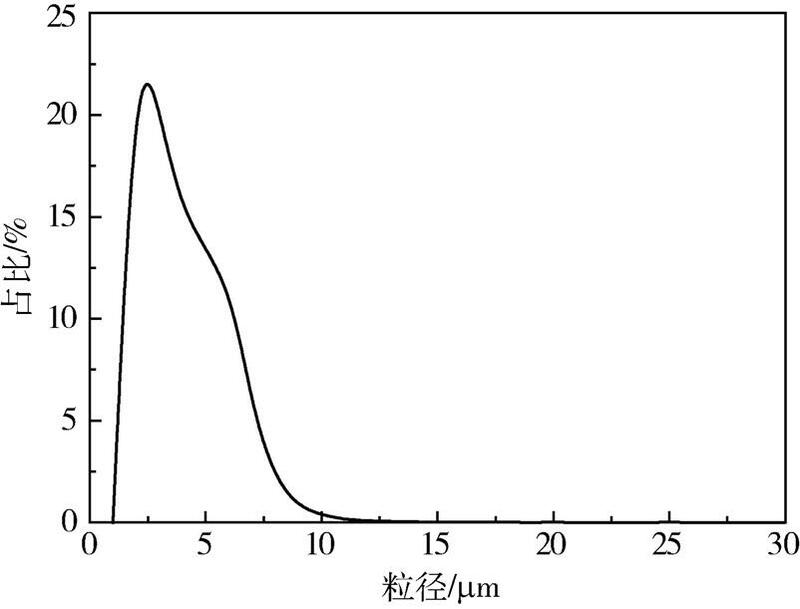 Thin Solid Films, 1997, 297(1-2): 212-223. ZENG S Q, HUNT A, GREIF R.Theoretical modeling of carbon content to minimize heat transfer in silica aerogel [J]. Journal of Non-Crystalline Solids, 1995, 186: 271-277. VOLLET D R, NUNES L M, DONATTI D A, et al. Structure characters of silica sonogels with different proportions of TEOS and TMOS [J]. Journal of Non-Crystalline Solids, 2008, 354(14): 1467-1474. REICHENAUER G, HEINEMANN U, EBERT H. Relationship between pore size and the gas pressure dependence of the gaseous thermal conductivity [J]. Colloids and Surfaces A: Physicochemical and Engineering Aspects, 2007, 300(1-2): 204-210. 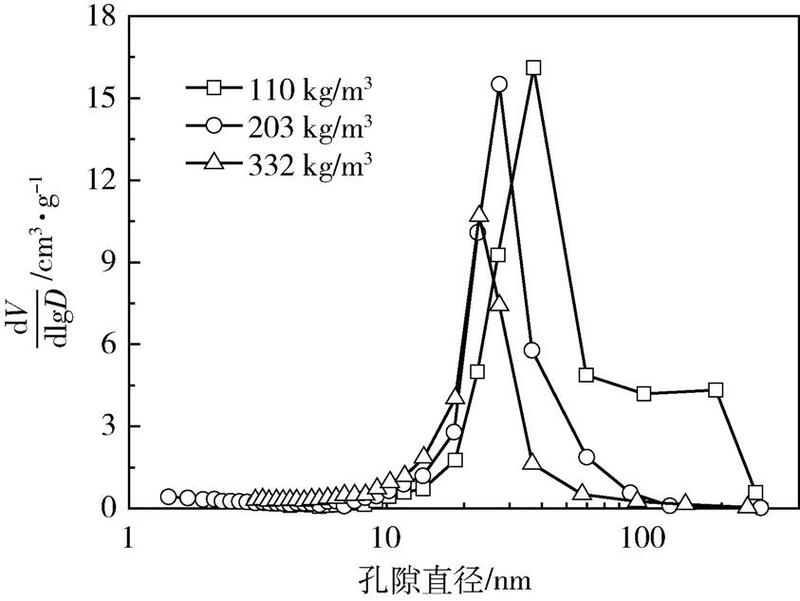 YANG Hailong,HU Zijun,HU Shengbo,et al.Thermal Conductivity Variation of Nano-Porous Thermal Insulating Materials[J].Aerospace Materials & Technology,2019,49(02):30-35.